The wider canyons in the Southwest, with permanent flowing water, form a sort of oasis for trees which survive there sheltered from the heat above. 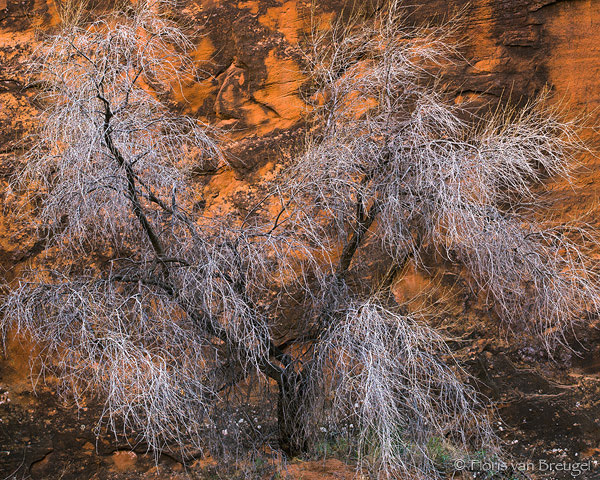 I found this young Cottonwood in the Paria River Canyon one early spring, before the leaves started budding. This is Arizona's Vermillion Cliffs National Monument.